Here’s a riddle for you: how are assisted living facilities like people? They come in all shapes and sizes! Big and busy, small and quaint… You name it! Assisted living is a great choice for a senior who can’t quite function on their own, yet isn’t ready for the nursing home. But with so many choices, many families have trouble deciding on a good place. In this article, we’ll give you some tips on how to find the best assisted living facilities for your parents. Just because you love a place, doesn’t mean mom will love it. Keep that in mind when you’re looking around at living options. If your parents don’t like fast-paced, social environments, then a smaller, quieter home might be the best fit for them. Ask them for their opinion. Make sure they’re involved in the process as much as possible. Of course, your parents might not be in the best shape to tour lots of places. If that’s the case, scope out a few on your own. Then present them with some options. You may encounter some pushback. Denial is common when seniors come to the age where they need some help. But if you offer them a range of options to choose from, they feel more in control of the situation. Assisted living costs vary from state to state. But it could cost you as much as $60,000 per year. So be realistic when you’re analyzing costs. Check with your parents to see if they have any long-term care insurance policies in place. Discuss the options with your parent’s insurance provider. Most insurance will cover short-term nursing home stays after surgery or injury. But they won’t cover long-term assisted living care. Before you start to shop around, put together a plan for how you and your family will pay for your parents care. If your parents don’t have the money in retirement funds, you may have to consider pooling money from adult children. Or selling assets to pay for the care. The type of facility you choose will ultimately come down to how much you can afford. So it’s important to have your budget figured out before you start to look around. Do they allow the residents to decorate their own spaces? How big do the apartments feel? These important questions are best answered in person. When you visit, try and make it for a meal. Many facilities will let you sit in on a meal and try the food yourself. Mealtimes can give you a good idea about the culture of the community. If possible, visit more than once. Check out all communal areas and outdoor spaces. If your parents are mobile, bring them along so they can see it for themselves. Remember, the quality of care doesn’t necessarily have to do with how sparkly and new a facility is. Even if a place looks a little run down, check it out like you would any other place. You may find on your visit that the care and culture are better at an older facility than a newer one. A good rule of thumb is to use your senses. Touch the surfaces, pay attention to the smells, and watch how the staff interacts with the residents. You’ll know if it’s a good fit by simply paying attention. The internet is a wonderful place to get the details of any facility you’re planning to visit. Check references and do thorough research before you commit to a place for your parents. Assisted living facilities aren’t held to the same licensing requirements as nursing homes. Each state has its own regulations, so check with your state first. The state can help you answer questions about staff to resident ratio. Or how much training staff members need to work in an assisted living home. They can also give you inspection schedules. And can reference any complaints filed against the facilities you’re looking at. Check reviews on Google and social media websites. Try to find a facility with a solid social media following and lots of helpful reviews. It’s also a great idea to ask around. Talk to the employees and the residents when you visit. See if the facility will give you the names of family references for some of their residents. As we mentioned earlier, assisted living care varies from limited to full-service. When you’re evaluating homes, make sure that the care level is appropriate for your loved ones. Many facilities offer different packages of care. This allows you to add on care options as your parent ages and needs more care. Just make sure you read the fine print before you sign on the dotted line. The level of care that you agree on with the facility representative should be listed on the signing documents. Also, be realistic. Does your parent need help bathing and keeping up with personal hygiene? Or are they okay with a few meals per week and a healthy social schedule? Parents suffering from the early stages of dementia will likely need more care in the future. Memory care facilities are a good option because they’re more secure. At a facility like Palmcrest Memory Care, residents use both outdoor and indoor secure areas. The property is outfitted with the latest security technology to keep them safe. But still gives them plenty of room for activity. These are a few of our top tips to help you find the best assisted living facilities for your aging parents. Follow these tips and you’ll get the quality care your parents deserve. To review, talk to your parents and make them a part of the final decision. Get your budget together before you start to look around. And do your own inspection of the top facilities on your list. Before you commit, check with references and do internet research to make sure the home has good reviews. And be realistic about the level of care your loved ones need. A home with options to ramp up care as they age is probably your best bet. 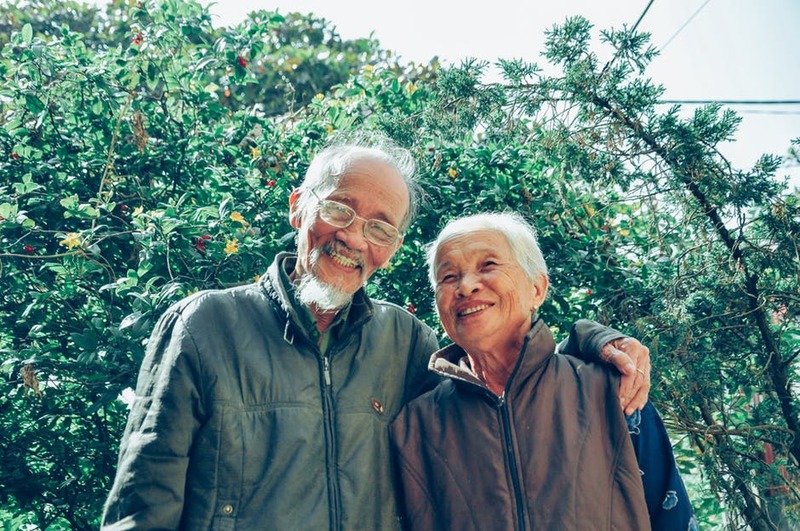 Looking for ways to keep your senior parents healthy for the long-run? Check out these 5 science-backed senior health tips.